The Corsica by Chevy was one of the first sedans that outsold many rival automakers’ vehicles in the 80s and 90s. Many of the Chevrolet trucks that were produced sold great, but Chevy struggled with its economy line of passenger cars. The design and success of the Corsica lead to other models like the Cavalier and Beretta. We have Chevy 2.2L Corsica car engines for sale in our massive GM inventory of engines. We sell only the best remanufactured and used Chevy car engines that we possibly can on our website. Customer service and engine quality are two core values that we do not sacrifice to make a buck. Chevy experimented with different engines as sales of the Corsica picked up. Late model versions included the famous 3.1L engine that was used as go-to engine for many GM cars and trucks. We have the 3.1L as well if you prefer to order it instead of the 2.2L. Besides our low engine prices, we are also known for our variety of inventory. 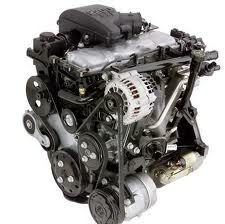 We carry many of the classic engines as well as the brand new engines from Chevrolet. We are dedicated to becoming the cheapest and the most respected automobile engine dealer on the Internet. We have customers around the world that have helped us secure a future for our company. Regardless of the type of engine that we offer for sale to the public, we still have extremely high quality standards for what we do and make sure our engines are fully tested. This means that we use our dynamometer to help us determine the amount of mileage that a used engine has on it. We also use the reporting that is available from these tests to accurately measure the oil compression and other important elements that ensure that engines run properly. We know what the standards are that are put out by GM and we follow the guidelines exactly. We put our name on what we do and never want to hear that there is an unsatisfied customer that has purchased one of our Chevy engines for sale. Our expert mechanics complete our dyno testing and then move each engine carefully for safe storage in our warehouse. We know what we have in stock at any moment in time and do our best to provide 100 percent satisfaction to customers around the world. We don’t have shipping delays, quality issues or other problems when we sell engines from our website. We constantly invest in the best tools, equipment and employees to help us maintain our quality standards and build our reputation for all engine buyers around the world to verify. Call us now to get your free Corsica engine quote at 1-877-630-3873. Our GM engine experts work very hard to answer any questions that they are asked before and after each sale is completed. We give out online quotes here at www.carenginesforsale.com too. Use our quick quotation form to get your 2.2L Corsica low price. It will arrive in your email. Review it or contact us for more information.